The majority of office buildings feature a form of entrance control, be it door locks, ID badges, or simply a receptionist to open the door, in order to protect the confidential information of the company. Further protection can take the form of security guards and sophisticated CCTV camera surveillance. Yet many organisations don’t spend anywhere near as much time or money ensuring their data is disposed of securely once it leaves the building. 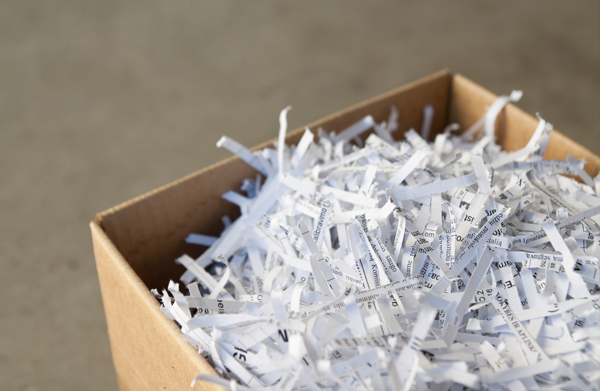 Even something as simple as shredding can lower the risk to your business. Unshredded paper documents left outside in the dustbin or skip can easily be taken and used for criminal activities such as Identity theft, Industrial Espionage or Corporate Fraud. 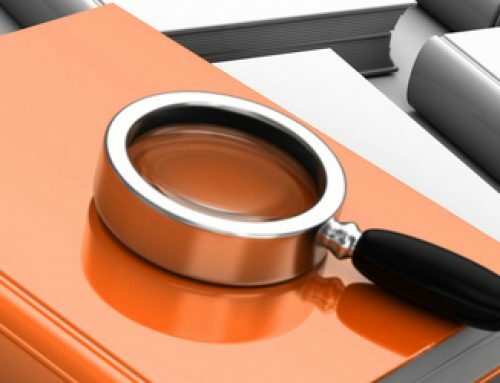 Confidential information such as customer details, business plans and research & development projects are all of interest to competitors or journalists, and if not disposed of correctly, can even put your company in breach of Data Protection laws. The most cost effective method for disposing of documents is via confidential destruction. This is a process whereby paper documents are destroyed via shredding, and are then pulped and recycled into toilet tissue. 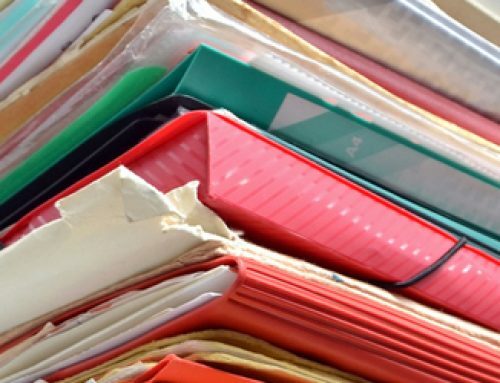 Although the law requires that businesses retain certain documents for a period of time, any document that is no longer required should be securely packaged prior to leaving a building, and only opened at point of destruction. Anyone transporting the documents to a destruction point on your behalf should be security vetted and be a registered waste carrier. 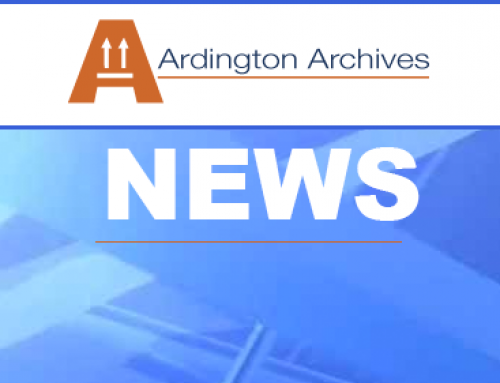 Being a provider of confidential destruction services, Ardington Archives LLP complies with BSI standards in regards to the destruction of confidential documents and associated media such as PC Hard drives. 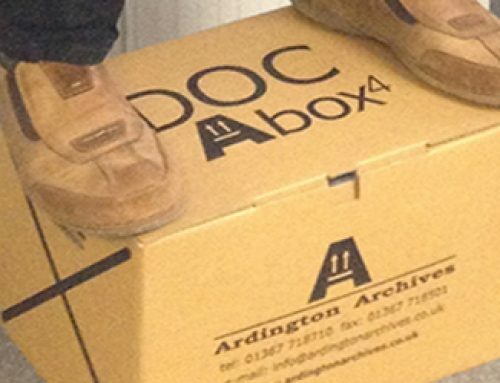 To meet these standards in both Environmental and Information Management, Ardington Archives LLP works to a comprehensive policy covering all areas of the shredding and destruction of your confidential documents.